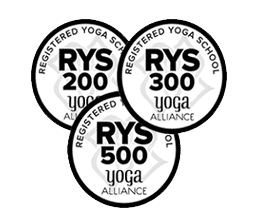 List of Ireland based yoga teachers and instructors (RYT 200, RYT 500) registered with Yoga Alliance offering yoga teacher training courses and retreats in Dublin, Wicklow, Cork, Galway, Co. Leitrim, County Meath, Glenageary, Moycullen, Bandon, Sligo, Greystones,Swords, Ballingeary, Waterford City, Monkstown, Clontaf. Her background is in Iyengar, Ashtanga and Vinyasa, and like to teach Vinyasa style yoga as mindful, strengthening, slow, deep, breath-centered movement, love the western alignment-based approach to yoga asana and have also explored western styles of self-development. Initially fell in love with the transformational quality of the practice of yoga and through a combination of yoga, counselling and energy healing, I have been teaching for over five years in the UK & Ireland at studios including: Triyoga UK, Indaba Yoga Studio, Lumi Power Yoga, Blue Cow Yoga, INIT Yoga Dublin, My Yoga Body Dublin, Virgin Active, Hot Power Yoga and Yotopia. Noeleen Tyrrell, ERYT 500, SYT & Certified Anusara Yoga Teacher, is the founder and director of Ard Nahoo Eco Retreat. Noeleen has practiced yoga for over 27 years and she is also a registered yoga therapist, C-IAYT. She has trained and been guided by many wonderful teachers and is hugely grateful to each one for the gifts they have given and inspiration and light they have shone along the way. Registered Yoga Teacher (RYT) with Yoga Alliance, dedicated Ashtanga student and teacher and have studied under many of the top Ashtanga teachers in the world, As a teacher my classes are in keeping with the tradition of Ashtanga and are thus demanding, because I believe that each student is capable of much more then they realize, and it is through steady, consistent practice that this becomes apparent. Dani has been teaching Yoga since 2002 and is qualified at the ERTY 500 hour (experienced 500 hour teacher level) with over 2,400 hours of teaching experience. Dani had held many retreats and workshops in Dublin, Cork, Wicklow and Clare. She has taught yoga at schools, worked with teens and teams including the Irish Ladies Rugby team. She is devoted to Yoga, meditation and their infinite possibilities. MA; Jyotish Visharada, Jyotish Kovid, CVA; E–RYT 500 (Experienced - Registered Yoga Teacher with Yoga Alliance, at highest level) Extensive teacher training in Ashtanga, Iyengar and Sivananda yoga, including numerous training courses, workshops and retreats with senior teachers around the world, Western and Indian.